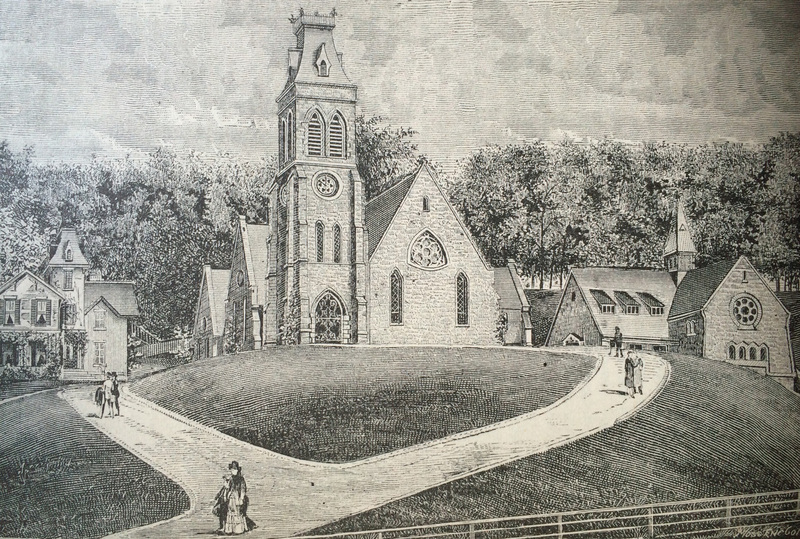 Situated on a commanding hill overlooking the Wynantskill and the Hudson River in South Troy, NY the Woodside Church and Chapel stand as the only remaining structures of the once vast Upper Works of the Burden Iron Company, a site of profound significance in the history of American invention, industry, and engineering during the nineteenth century. Built in 1868 and 1869 for Ironworks owner Henry Burden in memory of his wife, on land owned by Erastus Corning, of Corning’s Albany Iron Works, the church was part of an apparent reconciliation between these two often-feuding 19th century industrial giants. 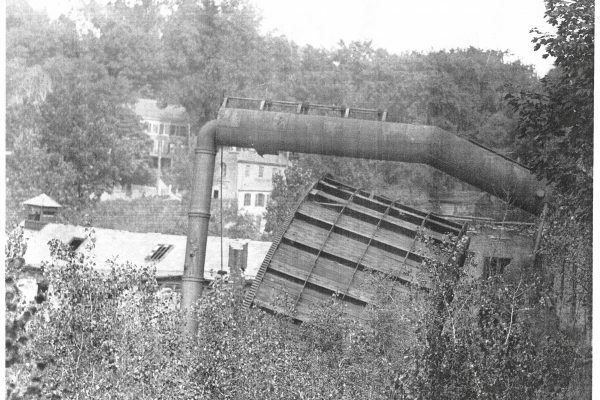 The church site overlooks the ruins of the mill where Burden’s nail, spike and horseshoe-making machines and the rotary concentric squeezer were located. 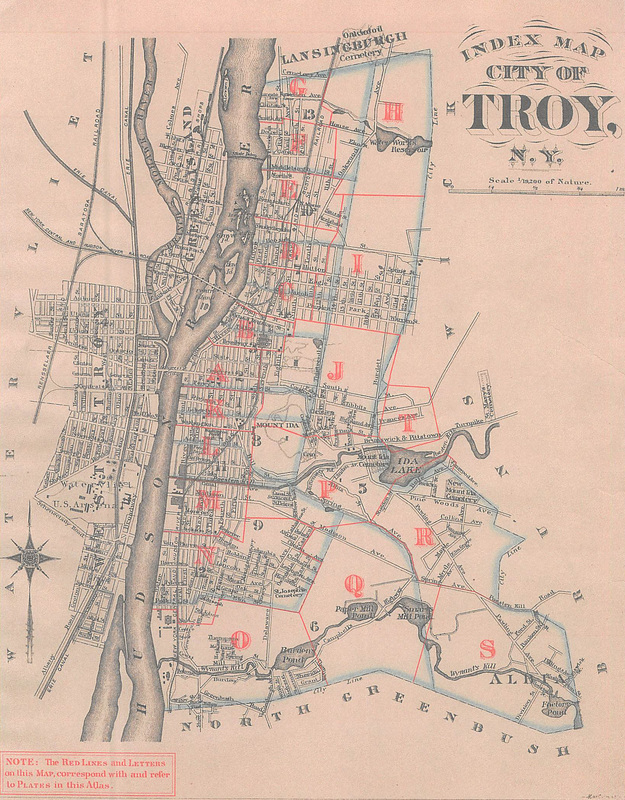 19th Century map of Troy. Note Paper Mill Pond and Smart’s Mill Pond upstream from Burden Pond. Neither of these ponds are still in existence, however the ruins of the dam structures that created them can be seen along the trail today. 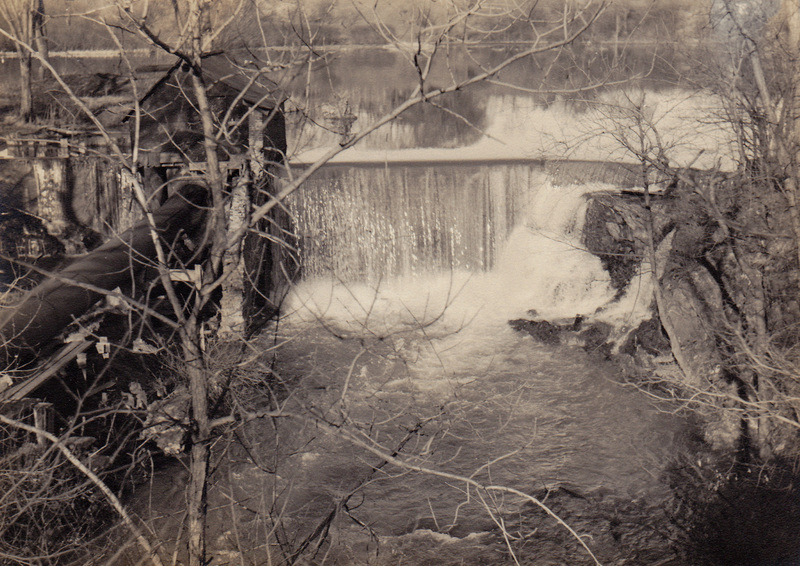 Smart's Pond dam on the Wynantskill Creek in Troy, behind the present Cumberland Farms on Campbell Ave., taken by Fred Backhaus in 1948. 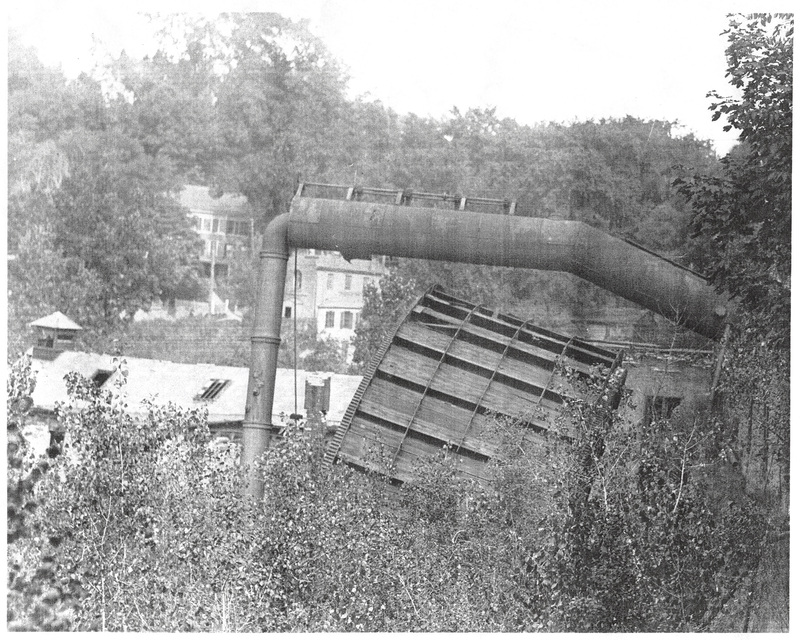 Note the pipeline and gatehouse on left side for the hydroelectric plant that was down the hill at Burden Pond. 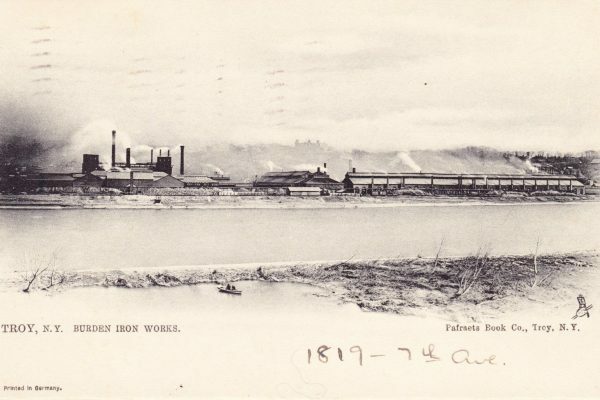 The hydroelectric plant provided power to the Albia Paper and Box plant a couple of miles away on Pawling Ave. near Winter St. from 1905 to 1955. 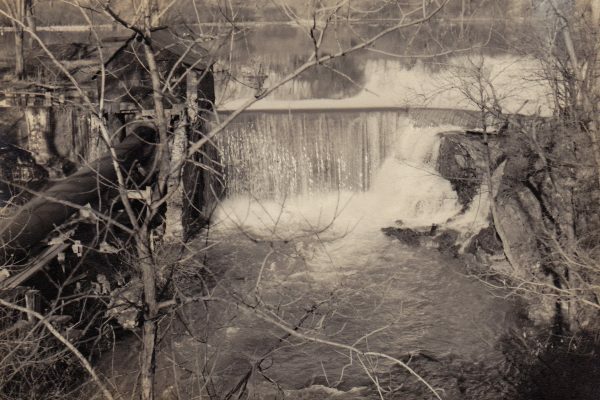 Part of the right side of the dam was breached many years ago, and what was left standing was knocked down by the Hurricane Irene flooding. 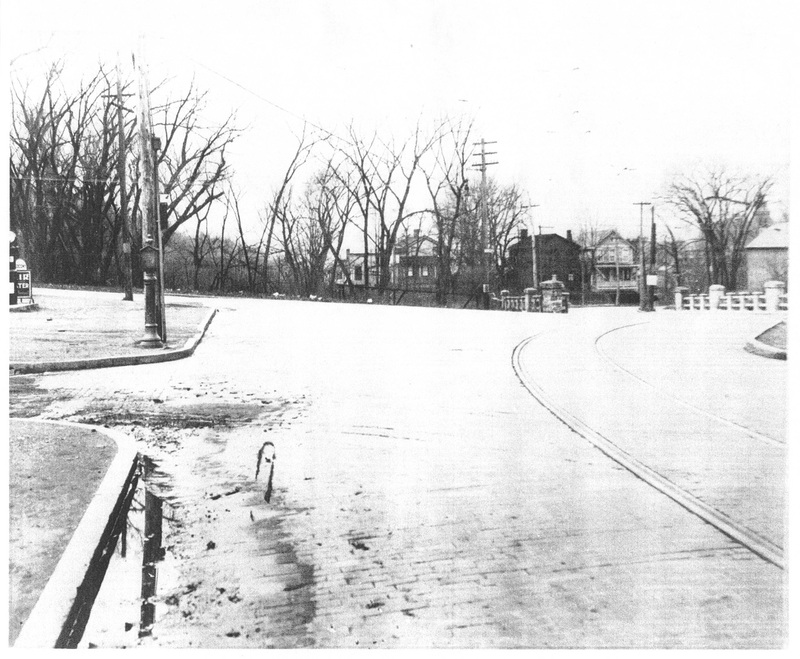 A view of the bridge from what is now the corner of Campbell Ave and Route 4 / Mill Street. 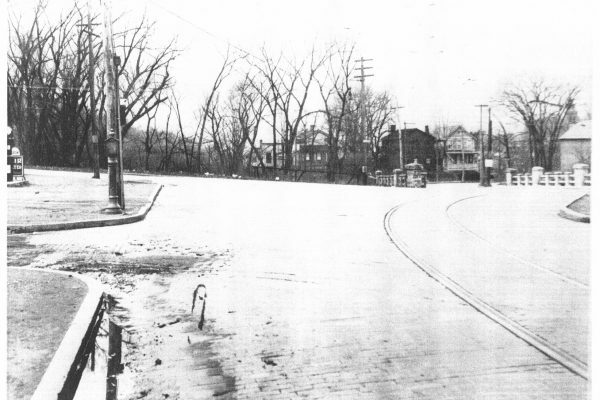 Note the completely different road and bridge orientation, cobble stone streets, and street car tracks. 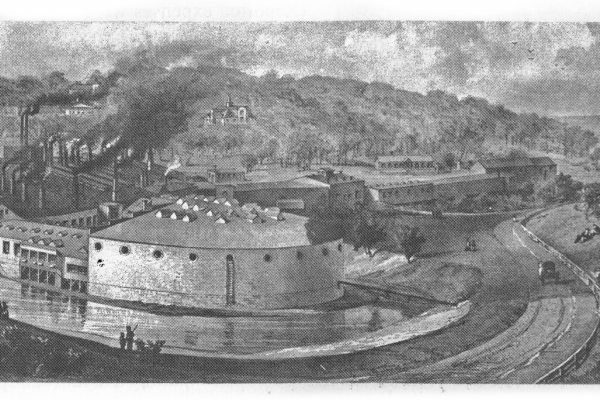 In order to find the necessary power to run his foundry, in 1851 Burden designed and constructed a 60-foot wheel. 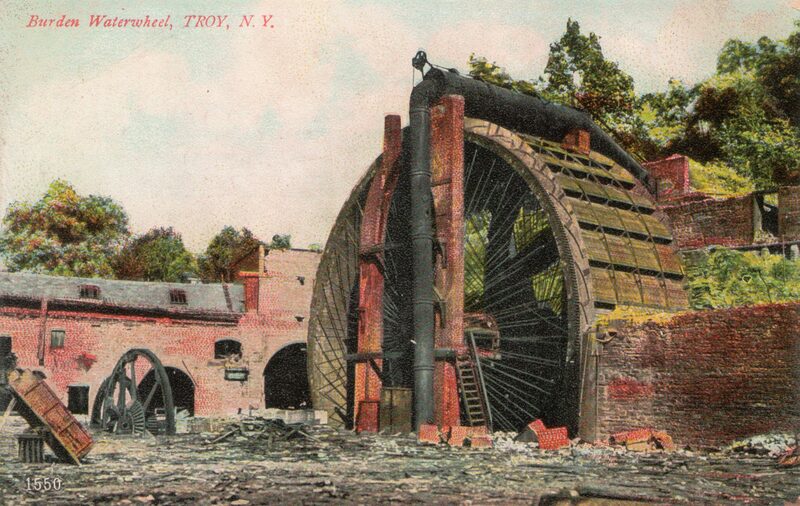 This was not the largest water wheel of its type, but likely the most powerful. The Burden Water Wheel was sixty-two feet in diameter and twenty-two feet in breath, was supplied by a small stream, the Wynantskill Creek. 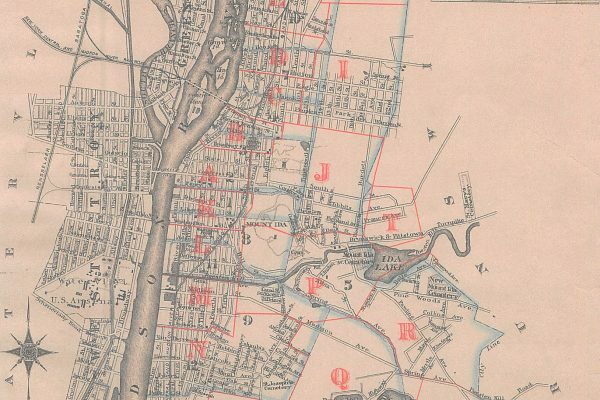 Burden originated a system of reservoirs along the Wynantskill Creek to hold the water in reserve and increase the water-supply to power the mills. Burden's wheel weighed 250 tons and could produce 500 horsepower when spinning 2.5 times a minute. 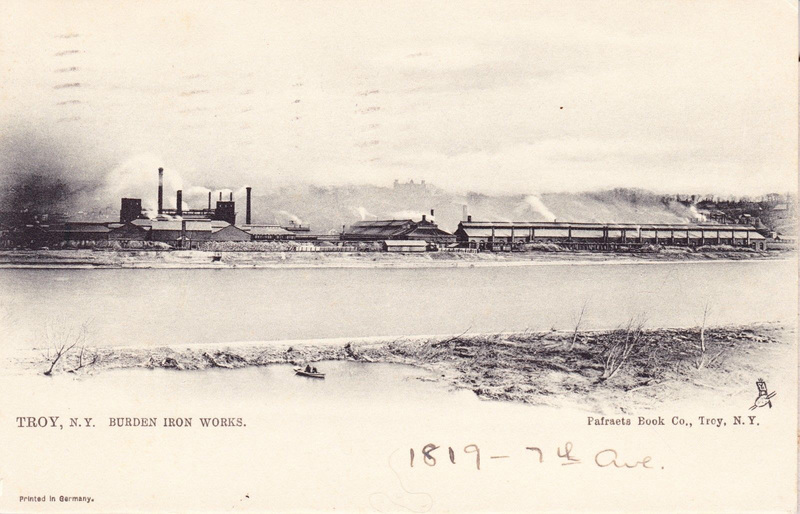 Following its abandonment in the 1890s, it lay idle for another twenty years before its final collapse and eventual scrapping for war metal. 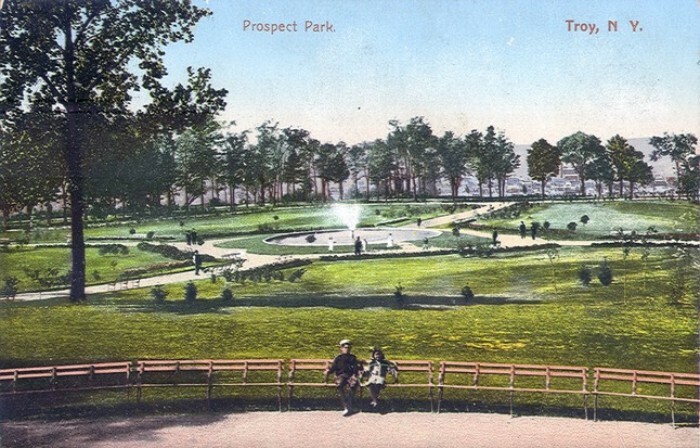 Prospect Park is an 80-acre city park that was designed in 1903 by Garnet Baltimore, the first African-American graduate of Rensselaer Polytechnic Institute (RPI). 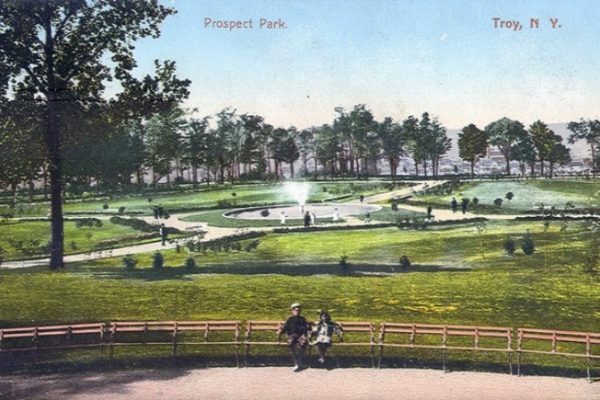 The park is located off Congress Street, south and slightly west of the RPI campus, in the Mount Ida section of Troy.